Uncover the story of the Cursed King as you save the world from a twisted magician in this genre-defining role-playing game. Across the vast world you'll wage turn-based battles against more than 250 monsters designed by famed artist Akira Toriyama. As you level up, upgrade your warriors' skills to learn mighty attacks. Untold possibilities await. Dragon Quest VIII itself is a standout in an already highly regarded series, but this enhanced edition is the definitive version to play through. If you’ve never given this series a shot, you’d do well to pick up this entry. It features a charming story that is remarkably well paced, and its mechanics help feel a slightly more simple RPG still feel incredibly deep. Dragon Quest VIII is a magnificent RPG that is an absolute highlight and showcase of the entire genre. It’s a long journey, but it’s one worth taking, especially if you’ve never played it before. I know that, after getting through this game, I need to reassess my personal favorite RPGs of all time. This game is that damn good. Dragon Quest 8: Journey of the Cursed King is an incredibly long game filled with standard offerings from the tried and true JRPG genre. While the battle mechanics remain traditional, the narrative and characters that push it forward are incredibly charming. So much so that they surround the game’s design with ample incentive to keep playing until bitter sweet farewells are made. DQ8 is goofy, charming, and endearing, but more importantly it’s still constantly enjoyable even after spending an absurd amount of time with it. Dragon Quest VIII was without question one of the best RPGs on the PlayStation 2, and 13 years later it's one of the best RPGs on the 3DS as well. If you haven't played it before, this version offers a lot of features that make it very easy to recommend over the PS2 and mobile versions. Even if you have, there's more than enough new content to make DQVIII worth revisiting. With no nostalgia factoring in, I’m left viewing Dragon Quest VIII in a mixed light. I have some real issues with it, but I still recognize its quality features. I acknowledge that I’m something of an outlier among the game’s audience. 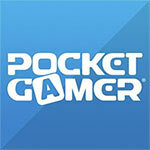 On a system with as many RPG choices as the 3DS, I’m okay with that. 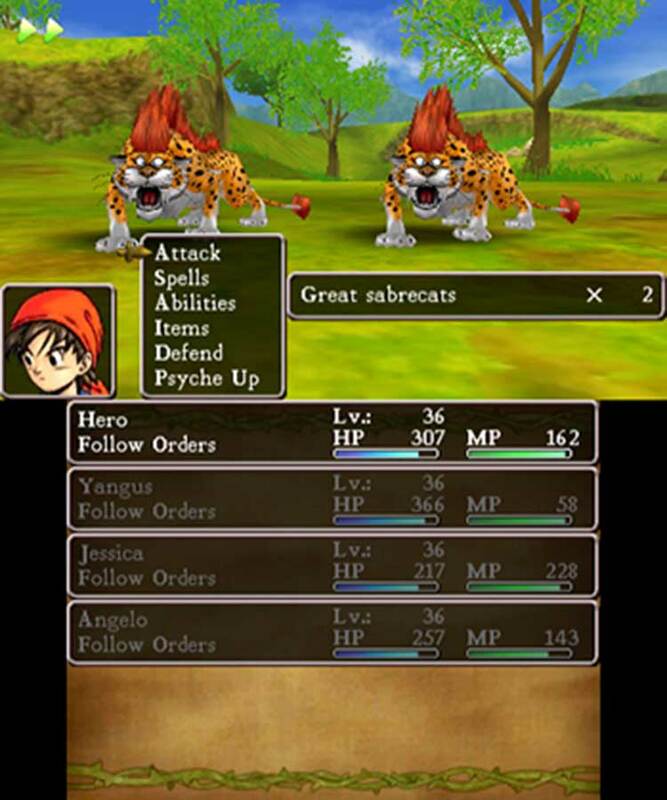 Just being able to play this game again on a handheld would have been satisfying, but the new additions like speeding up combat, removing the Alchemy Pot timer, and a map display on the bottom screen help to make Dragon Quest VIII: Journey of the Cursed King more accessible than ever to veterans and newcomers alike in this now definitive form on the 3DS. Dragon Quest VIII was one of the finest JRPGs upon its initial release and it manages to retain that lofty status through this 3DS edition. 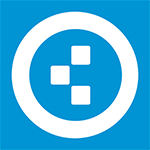 Its adherence to the traditional rules of the genre is where it pulls its strength from, the familiarity of the template allowing the design team to worry about making sure each element is as good as it can possibly can be. Dragon Quest VIII holds up well after a decade, and for our part, it's been a pleasure to rediscover this old adventure. Players who can't stand Japanese RPGs or who want a pacier experience might want to steer clear, but if you're curious about the genre or the series, a recommendation is hereby given. 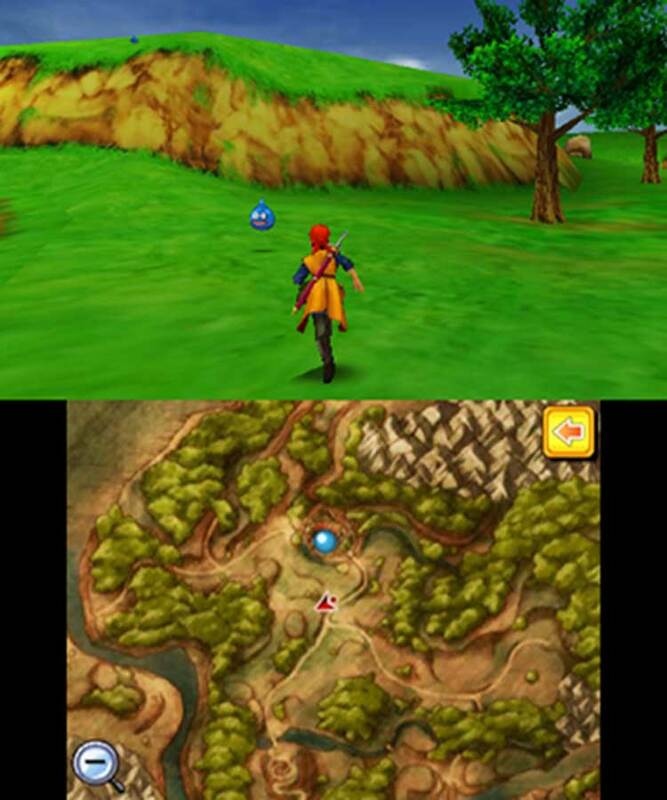 Dragon Quest VIII is a game that's one big nostalgic nod to the past, for better and for worse. Despite this, its vibrant world and memorable characters will pull you through to journey's end. Dragon Quest VIII is a pretty lengthy game, with the total playtime for the main story racking up to around 40 hours. However, despite the somewhat basic battle system, the game keeps itself fresh by letting us explore dungeons, grab loot and givingour characters costumes, it never feels like it’s been padded out like so many other JRPGs. Dragon Quest VIII is something special. It tells a lovely story with memorable characters in a captivatingly colourful style, features fun combat and a beautiful world to explore, and — most importantly — sparks a true sense of adventure and wonder throughout. This isn't just one of the best RPGs on the 3DS, it's one of the best RPGs full stop — and one of the best Dragon Quests to dive into for the uninitiated. Perfectly paced, well written and superbly scored, it's a trip worth taking for any RPG fan, and the updates in this 3DS remake — from faster battles and on-field enemies to a fantastic photography mode — make it a worthwhile return journey for veterans. A true classic. Each new gameplay addition or tweak is smart, not taking anything away from the original vision. It helps that the basis for this version was one of the better instalments of the franchise, but Square Enix could have easily just have ported it over and be done with it. If you don’t mind the slight presentation downgrades, this is the definitive version of a modern classic. Even with its handful of changes, or regretful omissions, Dragon Quest VIII: Journey of the Cursed King on 3DS is a grandiose adventure that manages to evolve the series in terms of technical achievement and presentation, story-telling and overall convenience. It takes advantage of the enhancements of technology to help make this adventure a joy to work through, unlike some older RPGs can be nowadays. Huge adventure with a massive open world and fun characters. Great art design and the removal of random battles is a godsend, with plenty of other new content too. The combat, storyline, and gameplay in general remains purposefully simplistic. Voiceovers can be grating. With high presentation values, a charming story, tons of depth, and traditional but fun JRPG battle system, Dragon Quest VIII: Journey of the Cursed King is a must own for 3DS RPG lovers, and an easy early contender for game of the year. Es cierto que se ha añadido alguna facilidad innecesaria, pero en lo que jugabilidad se refiere, estamos ante un producto mucho más redondo y fresco. El título luce bien a nivel audiovisual en 3DS, aunque ha perdido algunos detalles respecto a PS2 tanto a nivel gráfico como arreglos orquestados en una banda sonora que, eso sí, sigue siendo encantadora. Dragon Quest VIII: El periplo del rey maldito es un J-RPG imprescindible, a pesar de los 10 años transcurridos. Hay que tener en cuenta su condición de clásico y que no se puede recomendar hoy en día a todo el mundo, incluso a pesar de las reformas introducidas en Nintendo 3DS, que arreglan muchas cosas. Sin embargo, si eres fan de los RPG, más en particular de los japoneses, y encima te atrae la licencia… no hay duda. Dragon Quest VIII: El Periplo del Rey Maldito es una obra maestra clave en el rol japonés, y un clásico que todo el mundo debería jugar. Esta es una buena ocasión tanto para conocerlo como para redescubrirlo: es verdad que gráficamente no alcanza el nivel del juego original de PS2, pero se queda cerca y además lo compensa de otras maneras. Dragon Quest VIII: El Periplo del Rey Maldito nos ofrece la mejor versión a nivel jugable y de contenidos de esta fantástica aventura de rol japonés, aunque también es cierto que las nuevas inclusiones no nos parecen suficientes como para justificar su compra si ya lo jugasteis en su momento, a menos que tengáis pensado volvéroslo a pasar. Nintendo sigue añadiendo pozos de horas al catálogo de su portátil convirtiendo la consola en un indispensable para los amantes del rol. 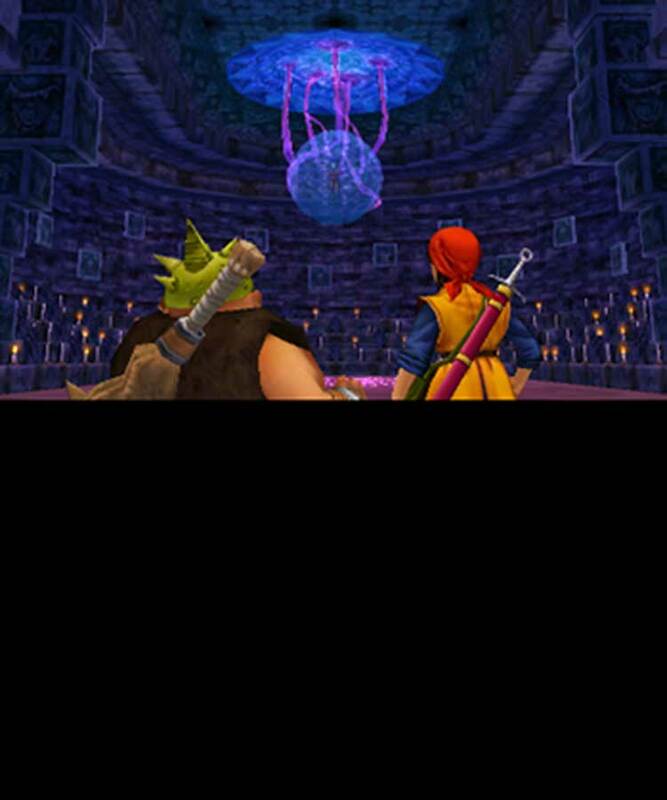 Dragon Quest VIII permite a todo aquél que no lo haya jugador sumergirse en una de las entregas más recordadas de la franquicia pero no añade ningún aliciente para aquellos que todavía lo tengan fresco. Die Reise des verwunschenen Königs versprüht auch heute noch einen besonderen Charme und Humor. Die einstige Schönheit mag verblichen, manche der damaligen Gebrechen noch gravierender geworden sein, aber hinter der angestaubten Fassade mit all ihren Unzulänglichkeiten schlummert nach wie vor ein Kleinod japanischer Rollenspielgeschichte, das noch immer zu fesseln vermag. Dragon Quest VIII : L’Odyssée du Roi Maudit sur 3DS est le portage de qualité d’un JRPG adulé par de nombreux joueurs. Digne épisode d’une série à l’univers incomparable, le titre offre des dizaines et des dizaines d’heures d’aventure ponctuées par de multiples petits scénarios qui ne manquent pas d’humour. S'il était technologiquement impossible de reproduire Dragon Quest VIII à l'identique sur 3DS, préserver ses immenses qualités constituait déjà une quête ambitieuse. Ce remake y parvient avec brio, en se concentrant sur ses points fondamentaux, à savoir l'exploration exaltante de son monde étonnamment ouvert, la délicatesse de la narration et l'efficacité du gameplay. Dragon Quest VIII revient sur 3DS dans un portage techniquement inférieur mais mieux calibré, truffé d'ajouts qui pourraient inciter les hésitants à replonger. Le charme de l'ancien avec quelques entorses à la modernité pour un épisode très classique dans sa conception, mais qui offre toujours le charme d'une aventure authentique, dépaysante, sans autre prétention que d'offrir un éventail d'émotions simples mais touchantes. Avant même de parler des diverses améliorations apportées par cette version 3DS, on ne peut que vous conseiller d’essayer Dragon Quest VIII : L’Odyssée du Roi Maudit. Ne serait-ce que pour son scénario maîtrisé de bout en bout, ou encore ses compositions musicales de haute facture. On regrette d’ailleurs que le jeu ait troqué les versions orchestrales pour partir sur des instruments synthétiques. Dragon Quest VIII: The Journey of The Curse King é simplesmente fantástico. Já o era em 2004, teve um mau momento entre 2013 e 2014 mas regressou em todo o seu esplendor neste ano de 2017. Enquanto uns tentam ser profundos e outros ridiculamente complexos, Dragon Quest VIII dedica-se de corpo e alma a oferecer o que a série sempre fez de melhor enquanto elimina (practicamente) tudo o que ela tem de menos bom. Um verdadeiro hino aos RPGs. Dobbiamo accettare l'idea che la versione Nintendo 3DS sarebbe potuta essere migliore, ma quello che ci ritroviamo tra le mani è comunque un porting di ottima fattura, specialmente dal punto di vista contenutistico, e non vi è ragione alcuna per mancare a questo appuntamento con Dragon Quest, specie se non si è mai giocato L'odissea del Re maledetto, semplicemente uno dei migliori giochi di ruolo giapponesi nella storia del genere. Non c'è alcuna sorpresa nel verificare che un eccellente JRPG del 2004, trattato con i guanti e ammodernato per incontrare i gusti delle nuove generazioni di videogiocatori, risulti altrettanto eccellente all'alba del 2017. Игра более чем десятилетней давности, всё ещё стоящая на пару ступеней выше большинства современных конкурентов, получает прекрасное переиздание. Нечастый случай, когда не задаёшься вопросом: «А за что тут платить, за обновлённые текстуры?». И ещё более редкий пример того, как «JRPG-сериал с традициями» годами держит высокую планку. Letterlijk het enige nadeel dat in de game te vinden is, is de relatief langere wachttijd die je zult ervaren tussen de tijd dat je een vijand tegenkomt en het moment dat je daadwerkelijk in gevecht bent. Daardoor kun je je tegen laten houden, maar dan ontzie je jezelf wel van een magistrale game met een nog veel magistralere soundtrack. Gaat dus heen en geniet van dit toffe avontuur, want op 20 januari kun jij ook op jacht naar Dhoulmagus, oftewel de kwaadaardige tovenaar! Met Dragon Quest VIII brengt Square Enix opnieuw een klassieker naar de 3DS. De overzetting is erg mooi en loopt goed, wat voornamelijk toe te wijzen is aan het afwezige 3D-effect. Wat je krijgt, is een luchtig gebracht verhaal met zware ondertonen en vele uren aan krenten uit de klassieke JRPG-pap. Fijne turn based-gevechten, een interessant leveling-systeem waarbij jij als speler controle hebt en veel meer. Het gebrek aan richting en de stroeve camera neem je hier graag bij voor lief. Jestem skłonny stwierdzić, że Journey of the Cursed King na Nintendo 3DS jest definitywną wersją gry. Ulepszenia i udogodnienia względem wydania na PlayStation 2 sprawdzają się świetnie. Nowe postacie w drużynie i inne dodatki zachęcą fanów serii do ponownego zapoznania się z tą pozycją. Jest ona dziś tak samo grywalna jak w dniu swej pierwotnej premiery. Nie mam najmniejszych wątpliwości, że każdy fan gatunku jRPG powinien zainteresować się tym tytułem.